Certainly looks that way, Davies starts today. Pochettino obviously values him and knows how to use his squad well. Ben is in good hands at Spurs. Ben has shown real professioalism , Rose on the other hand is a complete bell. Brilliant player, was fortunate to meet him at Wales game last year, was nice enough to chat and photo etc. Spurs fans starting to see his merit over Rose? I don't think he knew the Juve player was there! Solid performance on the whole though. He was considered an understudy for club and country, but now it is safe to say Ben Davies is one of the first names on the teamsheet for Tottenham Hotspur and Wales. Once described by a TV presenter as Tottenham's "go-to guy in the Europa League," Davies is now established as one of Spurs' key defenders. So how did Davies manage to dislodge England full-back Danny Rose as Spurs' first choice fullback? How did Davies go from being on the outside to being described by BBC Sport's Garth Crooks, himself a former Tottenham striker, as "outstanding," in his latest team of the week? "His all-round performance was outstanding," he said of his display against Huddersfield. "If I were fellow Spurs full-back Danny Rose I'd be somewhat concerned," he added. Ahead of what would be a 150th Premier League appearance for Davies against Bournemouth on Sunday and Spurs' huge Champions League clash with Juventus, BBC Sport Wales takes a look at what has gone right for the man from Ystalyfera. Davies' career so far has been notable for the fact that aged 24, the Welsh left back has only suffered three injuries in his whole career that have sidelined him for longer than a week. That contrasts with the problems faced by Spurs teammate Rose, who missed close to ten months of action with a knee injury between January and October. Davies' eagerness to play and availability is in fact how he made his mark in the game. His first chance at Swansea came during a pre-season tour in 2012 when first choice for the Swans and Wales, Neil Taylor, was away on international duty with Team GB in the Olympics. Davies was only a youth team player, but did enough to start the season playing Premier League football. Davies made his Wales bow in the same season and went on to play 44 games for the Swans. A year later, and firmly established with Wales, Davies switched to Spurs in a swap deal that took Gylfi Sigurdsson back to the Liberty Stadium. It was, in fact, one of the first transfers to be sanctioned by Spurs' new boss, Mauricio Pochettino. Pochettino's philosophy was that full-backs would be such a key component to Tottenham's style that there would be a need for almost constant rotation. However, for a long time, there could be no denying that Davies was very much second choice behind Rose, just as on the right flank Kyle Walker was the number one, ahead of firstly Kyle Naughton and then Kieran Trippier. Davies played second fiddle to Rose at White Hart Lane for around 18-months, until Rose injured his knee at Sunderland in January 2017. Davies played every Premier League game from that moment on for the rest of the season and has barely looked back at Spurs since. 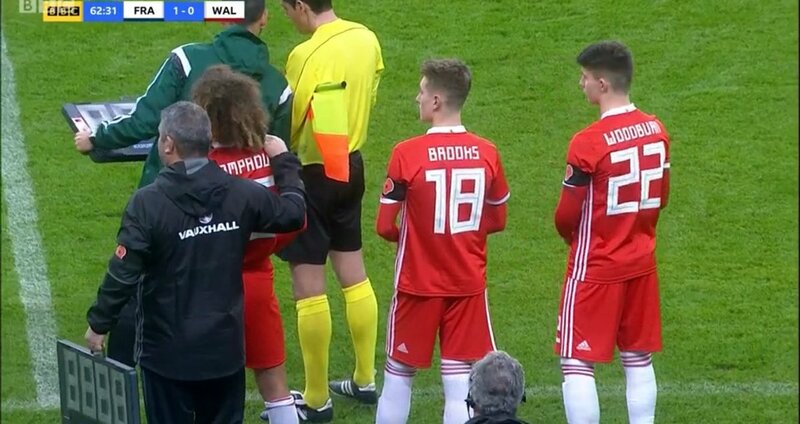 By the time Davies got a prolonged run in Tottenham's team, he had already established himself as a key component of Chris Coleman's Wales side that stunned the footballing world by reaching the semi-finals of Euro 2016. In fact, Davies' amazing goal-line clearance in Wales' opening win over Slovakia really set the wheels in motion for Wales' phenomenal run. However, while he was established in the red of Wales, for Spurs it was a different story. Davies had played just seven of 18 Premier League games before Rose's injury on 30 January, having featured in just 17 of 38 matches in the 2015/16 season and only making 14 starts in his debut campaign as a Lilywhite. Davies' recent run in the Spurs side coincided with their best form of last season, with no side accruing more Premier League points between February and May as they finished second in the Premier League. With Rose unable to return for the start of the season, Davies was always likely to keep his place in Tottenham's first XI, but his run this year has almost eradicated rotation at Spurs in the left back spot. Davies has played in 24 of Spurs' 29 Premier League matches, with Rose picked only five times. That contrasts the right back situation, where Trippier (16) and Serge Aurier (13) have shared game time with Walker sold to Manchester City. It should be noted, however, that Davies' case has probably been helped by the furore caused by Rose's comments to the Sun newspaper on the eve of the season where he openly questioned Tottenham's ambitions and pay structure. Spurs boss Pochettino quickly declared the matter settled after Rose apologised, but many Spurs fans believe Rose is still paying the price for his words. Conventional wisdom for a long time in the stands at White Hart Lane was that while Davies was possibly a stronger defensive option than Rose, there was little doubt the England defender was better going forward. BBC Sport's Jermaine Jenas was one pundit who expressed that viewpoint. However, the stats do not back up the assertion that Davies is inferior to Rose as an attacking full back or wing back. Davies (14) leads Rose (13) in career assists after providing the winner for Harry Kane in the latest North London derby. Not only does Davies top Rose for assists in his career, but he has also managed five this season, the fourth most of any defender in the Premier League, as well as scoring twice. For context, only Christian Eriksen and Dele Alli have created more Spurs goals this term. Spurs also perform better defensively with Davies in the side and have a higher win percentage when he starts than when he does not. All these factors have led to his manager describing him as "one of the best left backs in the Premier League." 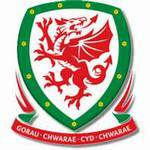 There can be no doubt, therefore, that for club and country Davies has become absolutely key. He was unfortunately at fault for the winning goal yesterday - a very uncharacteristic mistake where he didn't keep to the defensive line and therefore played Dyabla onside to go through one on one and score. Very poor defending also cross for first goal came from his side. He's probably been our most consistent player post Euros. Ben Davies got a yellow card but if he had gone in full on it would have been a straight red. He deserves credit for that. Stirling has just tried his best to get Ben sent off with a great dive from the merest of touches. He deserves no such thing. Did you see the tackle? It was f--king awful! I'm not giving him credit just because he's Welsh. There was clear intent and he didn't pull out at all. If that was someone else on Davies, I would guess that you'd be seething. I was surprised he didn't feature in the premiership best XI this year...gets my vote for Welsh player of the season anyway. Ben Davies is back in the Spurs line-up today against Watford. "My parents will be going out there for the game and they'll be staying with our old neighbours from Viborg, who they're still close friends with," Davies says. "I always wanted to play against Denmark when I was growing up. "It will be nice to have that opportunity now, and it will be nice to go back to where I spent some time where I grew up." Thought Ben did well compared to the rest of the spuds defence. Stopped an on fire Messi in his tracks a couple of times as well. Was telling that all the Barca goals came down the spuds right. Starts at centre back again tonight against Arsenal. Still as versatile as ever. Ben had a good game today, Spurs unlucky they were up against De Gea. Agree with that, he was solid. De Gea was another level! De Gea was another level! If just four of those efforts were either side of him he wouldn't have stood a chance - woeful finishing IMO. Spurs should have won about 5-1 i reckon. Nonsense. Why is it always "straight at the keeper" rather rhan the keeper having good positioning? Thankfully, Ben Foster raised this issue in a tweet that was discussed on MOTD2 last night. They showed Lloris' positioning for United's goal compared to De Gea's positioning for a shot by Kane that was "straight at him". It wasn't a perfect example to discuss as there were other clear differences between the opportunities, but at least Foster brought attention to this. Good positioning makes a shot look poor. Poor positioning (see our own Wayne Hennessey) makes poor shot look like screamers. Also don't forget that while De Gea made 11 saves in the second half, Lloris also made 7, a couple of which were exceptional, so it's not as if United scored their one and only chance and fluked a win.